Hellgate Hunters & Anglers: Got Sheep? It’s time to make the sausage. The Montana Legislature began January 7th. There are 122 bill draft requests in the hopper and 18 bills introduced. Wolves will pre-occupy a lot of our time over the next four months, as will access, bison, guns, and a host of bills whose sole intent is to try the patience of wildlife and sportsmen advocates. We’re going in to this session in a different place than 2011. Governor Bullock took the oath of office yesterday along with every other elected official. With that oath comes the return of Jeff Hagener to the Department of Fish, Wildlife & Parks. There are three commission appointments open right now. Governor Bullock has a plethora of opportunities to leave his mark on the department early in his administration. So far, he’s been a leveling influence in a heated and controversial series of debates. The appointment of Hagener has been praised by Livestock interests, Hunting organizations and Legislators. We head into this session with a lot of the same old issues coming back: Elk Archery continues to be a fight, along with transferable tags for landowners. HB 161, proposed bill by Representative Ted Washburn would increase the number of non-resident licenses by 13,000. We don’t agree that 7,000 licenses should be designated for wilderness areas only, and that they go to Non-Residents. It’s a bad bill. The trend of increasing non-resident opportunity over the opportunity of Resident hunters and anglers is critical in establishing the privatization of wildlife. The first week of the Session will see wolves and bighorn sheep come up. HB 73 is the FWP bill that would grant the commission authority to issue multiple wolf tags, eliminate the requirement for hunter orange after the general big game season, allow for electronic calls and reduce the cost of non-resident licenses to $50. This bill should pass. It contains some measures such as electronic calling that we do not endorse, but overall the bill is good, and should pass quickly through both houses. Also on Thursday is HB 31. This bill has many of the same components that HB 73 does, but goes too far. It causes a cap to be placed on wolf populations, which will lead to more litigation and the relisting of wolves. Any time we change the approved wolf management plan or current laws related to wolf management, we trigger a review, and we trigger potential litigation. HB 73 however, would cause both the anti-wolf crowd and the wolf lover crowd to simultaneously litigate the state, further ensuring no wolf gets managed ever. Got Bighorn sheep? Maybe not. 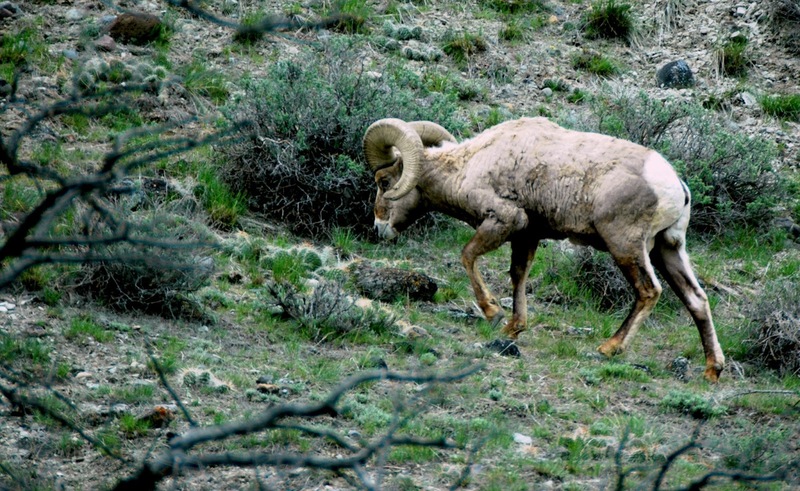 Senate Bill 83 involves additional rules regarding transplanting of bighorn sheep and will be heard by the Senate Fish, Wildlife and Parks Committee at the same time the two wolf bills are being heard in the House Fish, Wildlife and Parks Committee. This bill will virtually eliminate any real opportunities to transplant bighorn sheep on any of their historic range in Montana if there is a chance that they could interact with agricultural operations, or augment existing sheep herds. This bill would further tighten measures that already make it extremely difficult to reintroduce wild sheep in Montana. It should be actively opposed by sportsmen and women. We’re well on our way to that this session. Many other bills will come forward to restrict our stream access, eliminate funding for Access programs like Habitat Montana and to hand our public resource, wildlife, over to private hands. We’ll be blogging and updating all session long. Facebook is a valuable tool when it comes to getting the word out, so we’ll be posting regularly to facebook and twitter when things happen in Helena.